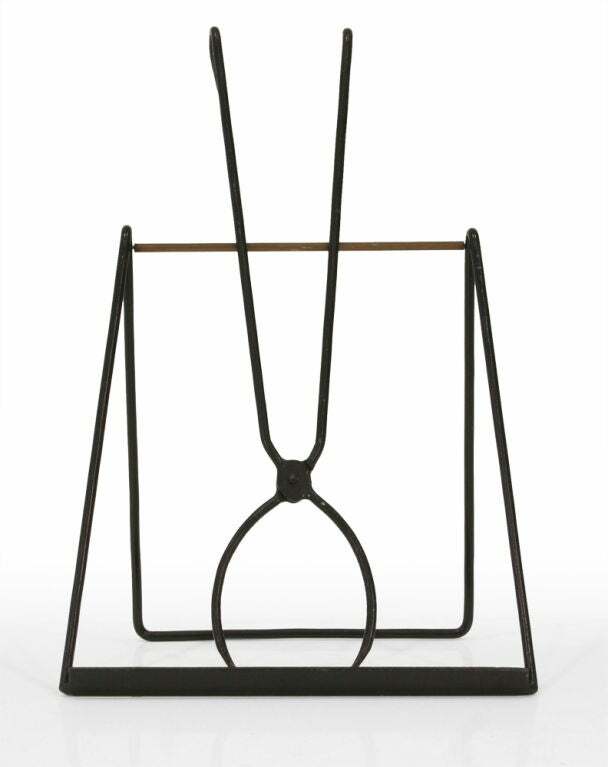 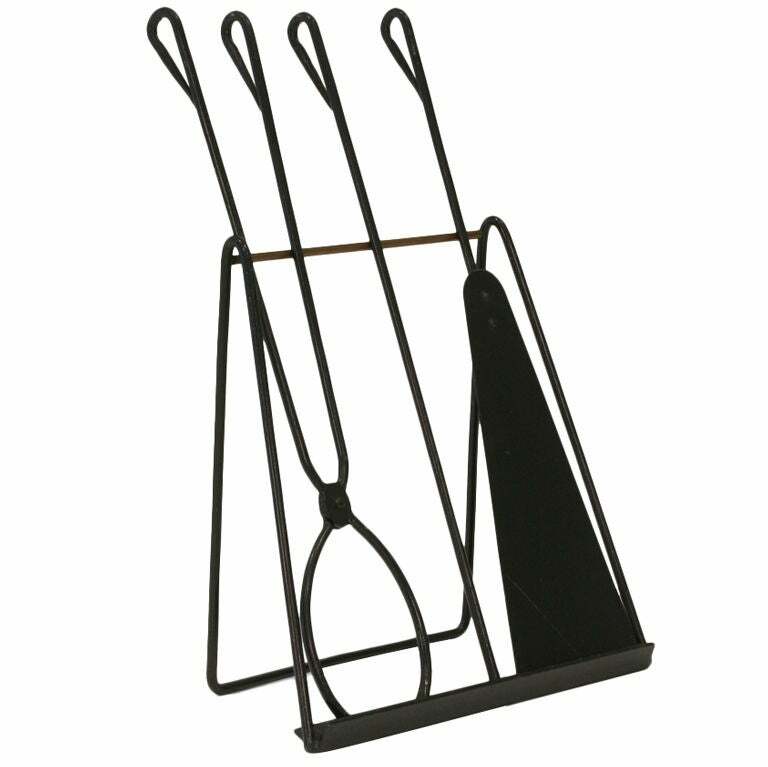 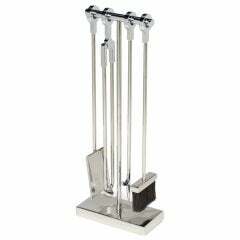 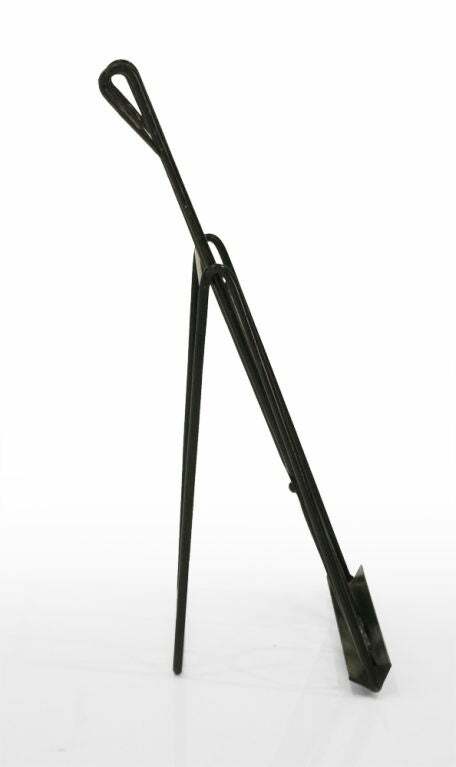 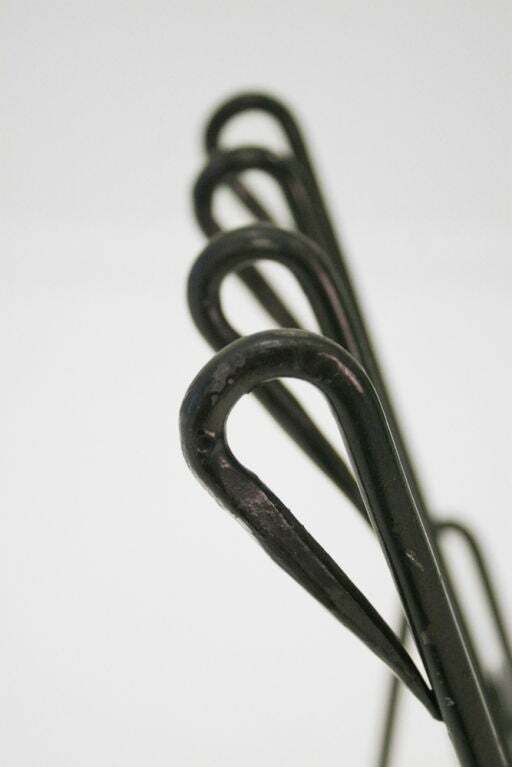 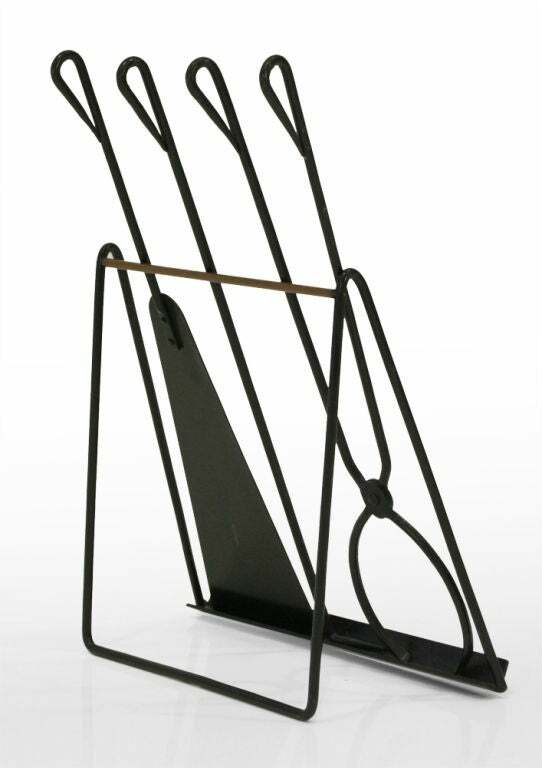 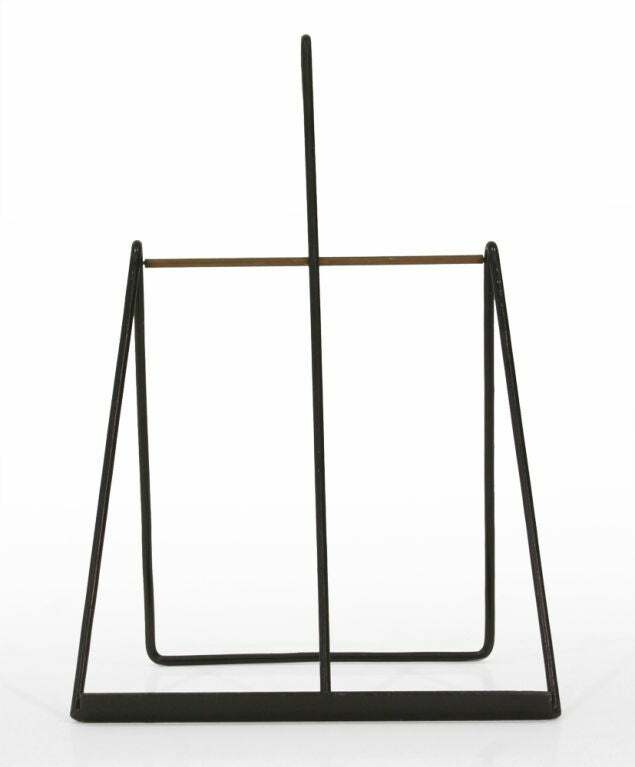 A Modernist set of three fireplace tools in wrought iron with looped handles all resting on a easel form wrought iron and brass stand. 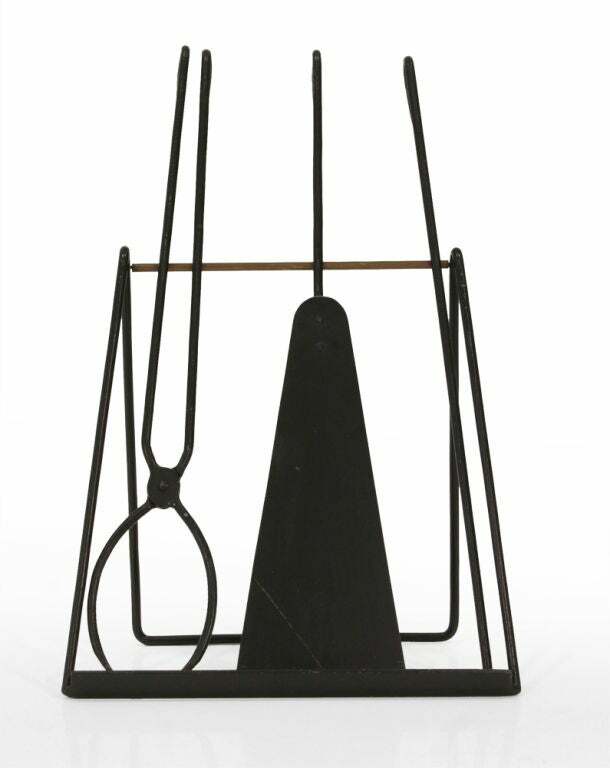 Made for Illums Bohlighus. 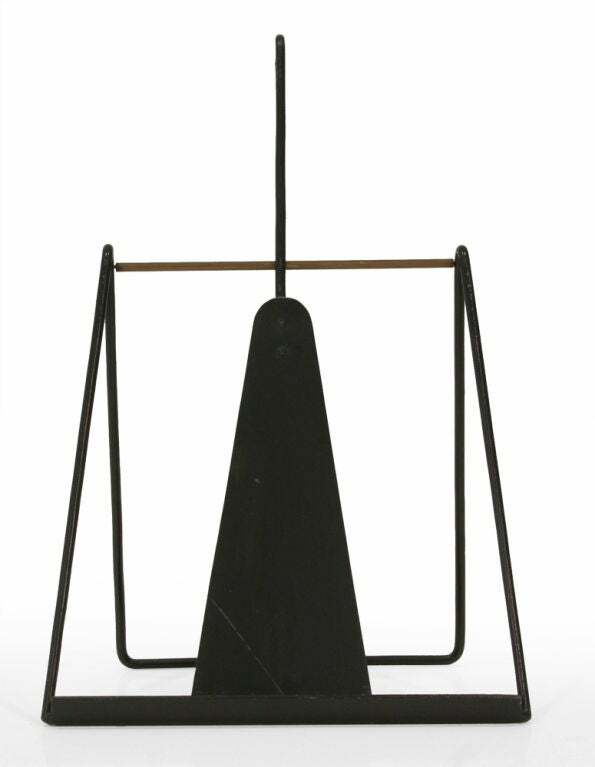 Danish, circa 1950. 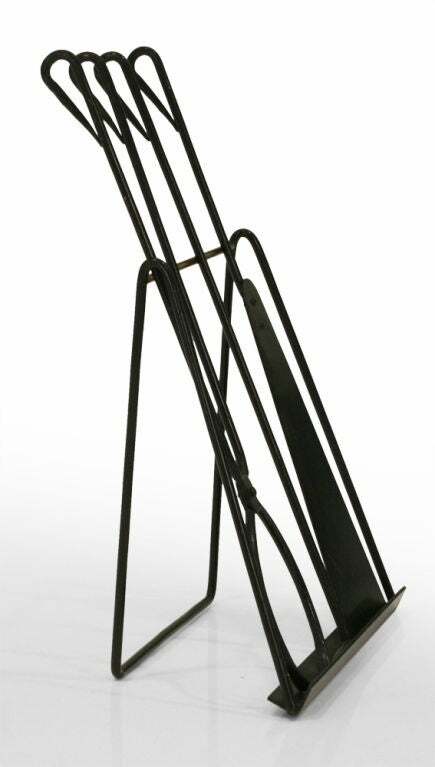 A modernist set of three fire tools each with a turned wooden handle and resting on an integral wrought iron stand with a C-shaped base, American, circa 1950. 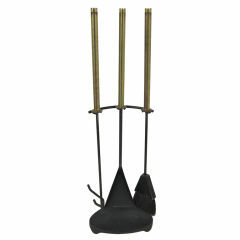 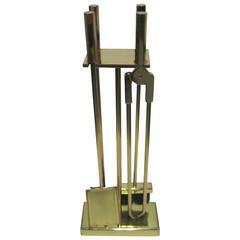 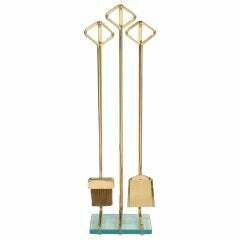 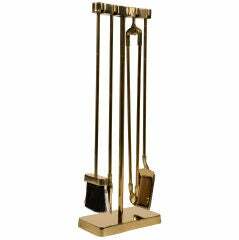 Set of Brass handled fireplace tools hung on a sculptural iron stand. 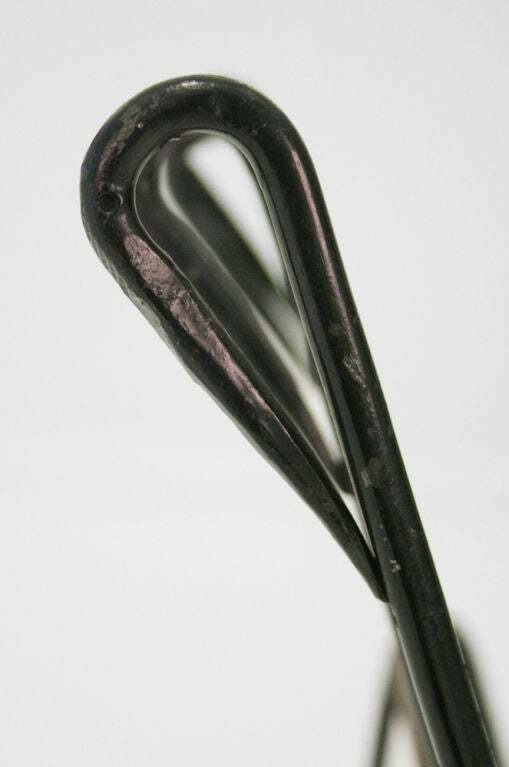 The long brass handles are nicely darkened and patinated from age. 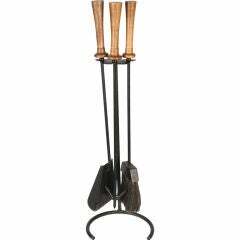 English Art Nouveau fireplace tools made of wrought iron and brass. 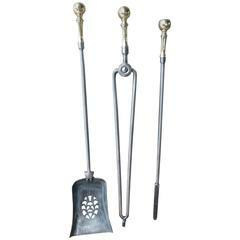 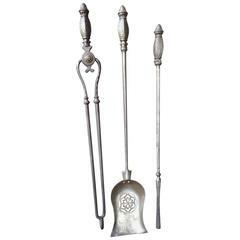 19th century English fireplace tools made of polished steel with polished brass handles.